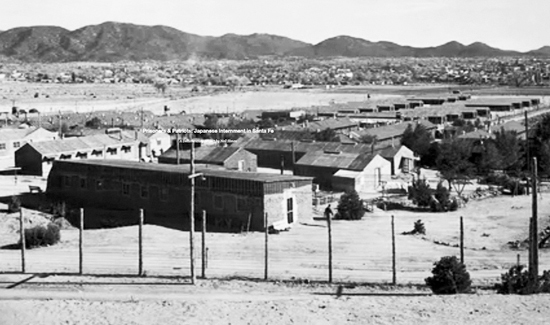 “Prisoners and Patriots: The Untold Story of Japanese Internment in Santa Fe,” a film by Neil Simon, does a great disservice to American history, specifically to Japanese American history, due to the shallow research done on the subject matter. One of the most glaring problems is that the film doesn’t seem to understand the differences between the War Relocation Authority camps and the Department of Justice camps. The WRA camps were administered by a civilian agency, while the Justice Department oversaw the DOJ camps. Hence, U.S. citizens and their immigrant parents were imprisoned in the WRA camps, while only non-U.S. citizens such as immigrants and renunciants were incarcerated at the various DOJ camps and were governed by the Geneva Convention. However, the film mistakenly repeats that those who answered “no” to Questions 27 and 28 on the so-called loyalty questionnaires passed out by the government ended up at Santa Fe. Japanese Americans who answered “no-no” did not automatically lose their U.S. citizenship and were instead shipped to Tule Lake, which was converted from a WRA camp to a segregation center. For this reason, no history of the Santa Fe DOJ camp and the Fort Lincoln DOJ camp at Bismarck, N.D., is complete without discussion of Public Law 405, which Congress specifically passed in 1944 with the Tule Lake inmates in mind. This law allowed U.S. citizens to renounce their citizenship in time of war with the approval of the attorney general. This is at the crux of why the government was able to round up renunciants from Tule Lake and other WRA camps, and ship them off to Santa Fe and Bismarck in 1944 and 1945. Some Tule Lake protestors were forced to renounce through violent tactics. Tetsujiro “Tex” Nakamura recalled that when he went to Japan and met with Kinzo Wakayama, a Nisei World War I veteran, Wakayama told Nakamura he was forced to renounce his U.S. citizenship at Tule Lake at gunpoint. The film, however, makes no mention of this renunciation law but merely states that a larger number of Tuleans were shipped to Santa Fe than from any other camp. Another conspicuous omission from the film is attorney Wayne Collins, who worked for close to 30 years after the war on restoring the U.S. citizenship of the renunciants. His name is mentioned only once by an interviewee. Additionally, the Santa Fe DOJ camp was similar to the Bismarck DOJ camp, although the film does not make this comparison. Both camps had two main waves of Nikkei. The first group was the Issei picked up shortly after Japan attacked Pearl Harbor. The second wave included the renunciants. Santa Fe had the additional group of the Japanese Latin Americans, while Bismarck had the captured Germans, who were mainly merchant marines. What the film does, however, is muddle the facts. 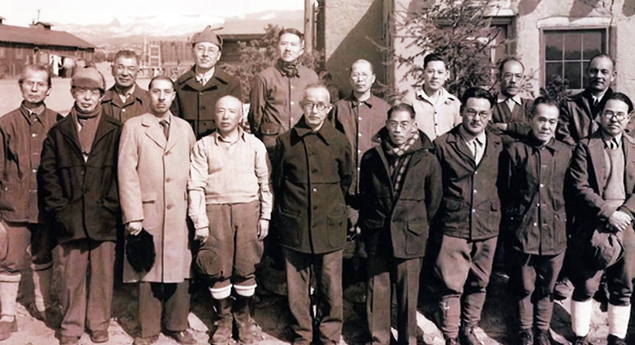 While the film narrator discusses the first wave of Santa Fe inmates — the Issei — it intersperses the narration with video clip recollections from the renunciants, who were the second group to arrive. The Issei men at Santa Fe were no more pro-Japanese and dangerous than the first wave of Issei fishermen and businessmen incarcerated at Bismarck or the Issei women who were imprisoned at the Seagoville DOJ camp. They were even less dangerous than those active in the prewar German American Bund. The real failing of the film is that it does not delve into the real issues of why these men ended up at Santa Fe. A good example is Noboru Taguma, who was both a draft resister from the Granada (Amache) WRA camp and a renunciant. The film never asks the question: How did Taguma end up at Santa Fe? After Taguma did his prison time at the Santa Catalina Prison Camp for refusing to be drafted until his rights were restored, he tried to return to Granada to be reunited with his family. However, he was not allowed back into camp and instead was told that if he and his family renounced their U.S. citizenship, they could all be reunited at Tule Lake. As a result, Taguma renounced his citizenship, but rather than end up at Tule Lake, he was shipped to Santa Fe. None of this is discussed in the film. The Santa Fe inmates are further incorrectly generalized as Japanese loyalists. However, existing transcripts and extensive discussions with former Santa Fe inmates will reveal that many renunciants ended up at Santa Fe or Bismarck in an effort to keep the family together. Prewar Japanese culture entailed that the father’s word was the law. If the father lost his business and livelihood due to the incarceration and he wished to return to Japan, it would be expected for his children to accompany him. As for the Issei men, the film states that the men ended up at Santa Fe because they were dangerous religious leaders, giving no reasons why the businessmen and community leaders were there as well. What the film fails to do is draw parallels to similar action the government took right after the Sept. 11, 2001 terrorist attacks. Another error the film makes is the discussion of the Sokuji Kikoku Hoshi Dan, which translates to the Organization to Return Immediately to the Homeland to Serve. It is usually shortened to Hoshi Dan. The youth group was called the Hokoku Seinen Dan and the female division was the Hokoku Joshi Seinen Dan. The Hoshi Dan started out as a cultural education group and later split into in-fighting factions, but it did not have one specific group that focused on supporting the Japanese military nor another aimed at moving to Japan, as the film states. The film makes no mention of the women’s or youth groups. The documentary tells that Santa Fe's prisoners were all men--some Japanese nationals, some U.S. citizens. The film also tends to generalize the Santa Fe inmates as Kibei but those who appear in the film are mostly Nisei. Plus, the film depicts those who went to Japan as if they all voluntarily went. There is no research into why so many people renounced. The film also includes many sound bites that cannot be substantiated. For example, the Caucasian son of a former Santa Fe worker states that Santa Fe had the “finest facility” because they provided doctors and dentists. What is not researched is the conditions these doctors and dentists had to work under. Other deceptions include using sound bites from people who were not even imprisoned at Santa Fe, such as Susumu Yenokida, a draft resister from Granada. His sound bites are used in the opening and closing scenes, as if he was describing conditions at Santa Fe. Towards the end, the film suddenly cuts to President Ronald Reagan signing the redress bill. There is no mention of the hundreds of people who worked for decades to make redress possible. It is as if the government, out of benevolence, decided to hand over $20,000, and the film conspicuously leaves out the fact that the government had also issued an apology. From there, the film touches upon the Japanese Latin American situation, stating they too received redress, without mentioning that they received merely $5,000 and that there is an ongoing effort to try to get equitable redress for the JLAs. On another level, the film, directly and indirectly, alleviates White American guilt over the World War II camps with its focus on the “fun” these prisoners had. There is an entire segment devoted to how the Santa Fe inmates played baseball, ran a gambling den, created a golf course, made moonshine. But as any good guard knows, prisoners need something to occupy their time. Even prisoners in today’s federal penitentiaries have television, access to sports equipment, reading material and conjugal visits. The film further gets sound bites of renunciants saying they’re not bitter over their treatment. This is almost akin to watching African American slaves singing and dancing, and then asking them whether they’re enjoying themselves. If two or three say they’re enjoying themselves, then by extension, we can surmise that all the slaves must enjoy life under slavery. In short, the film falls far short. It is confusing, misleading, lacks any substantive information and disrespects the time and effort the various interviewees gave to this project. The experiences of the Santa Fe inmates, unfortunately, remains largely untold. Note: The Japanese American National Museum will host a screening of “Prisoners and Patriots” at 2 p.m. on Saturday, April 14. Ms. Nakagawa did make one mistake in her review. “while only non-U.S. citizens such as immigrants and renunciants were incarcerated at the various DOJ camps and were governed by the Geneva Convention.” That is not quite true. German Americans were interned in DOJ camps. They were mostly underage kids who were children of the immigrants. In Hawaii, German American adults were interned in Army run camps as were Japanese. In fact, more German American women were interned in Hawaii than Japanese American women. In Hawaii, most of the Japanese who were interned were men. Ft Lincoln was the place where iniially German Merchant Seamen were interned well BEFORE PEARL HARBOR as was Ft Stanton in New Mexico. No Japanese merchant seamen were interned prior to Pearl Harbor. German civilians were then interned in Ft Lincoln, Seagoville, Crystal City, and a host of other places necessary to accomodate the 30,000 that were interned. None of we Germans would have been interned except for the JAPANESE ATTACK ON PEARL: HARBOR– Japan is the only nation that struck and/or occupied US soil. Additionally there was not a single Renunciant of German heritage,, and how and who forced Japanese to renounce at gun point?. Who had the guns? Japanerse inmates? This review showcases the complexity of the story of Santa Fe. There was not one path that prisoners followed, and the film Prisoners and Patriots actually stresses this fact. It also covers the fact that the men arrested spent most of their time trying to be reunited with their families. In some cases, this meant filling out forms they did not believe in, in hopes they could return to Japan faster – and frequently that meant being sent to Santa Fe. The reviewer however has failed to accurately depict Prisoners and Patriots. In wanting to see the story in black and white, the reviewer has failed to realize that history is filled with gray areas. The fact of the matter is, this film is welcomed by many families of former inmates and it is the first ever to delve into the difficult subject matter that is the Santa Fe DOJ camp. To tell every prisoners personal story of how they ended up in Santa Fe would serve to only confuse viewers about the larger story. In making this film, I tell a story accurately, and most importantly, raise awareness in the general public about the existence of this camp and the wrongheaded policies which governed it. Regarding the Japanese Latin American experience, I have also written publicly about the need for the US government to address the Japanese Latin American experience more directly. It is posted on the Japanese American National Museum’s Discover Nikkei website. This is a great opportunity to compare and contrast the reviews done by those who have been researching the Japanese American experience during World War II for a decade or two and reviews done by those with little background on this part of American history.